When it comes to specifying pumping equipment, many companies particularly those under increasing pressure to cut costs could actually be making decisions that will cost them more in the long-run. Some pump users focus too much on initial outlay, opting for the least-cost alternative, which is not always the best solution for the application. The British Pump Manufacturers Association (BPMA) and many of its members are keen to emphasise the importance of life cycle costing (LCC) as a vital part of any pump purchasing and ownership strategy. LCC takes into account the installation, energy consumption, operation, maintenance and downtime – even environmental costs through to the final decommissioning and disposal of the pump. By analysing the costs that are likely to be incurred throughout the operational life of the pump, it is possible to objectively compare the potential options at the outset. Life cycle costing can be useful for selecting new equipment and justifying upgrades. Throughout the life of a pumping system, it is unlikely that the same operating conditions will continue. Adding new equipment upstream of the pump, or changes in production techniques can all cause variations in pump duty away from the ‘best efficiency point’ (BEP). This is the point where pump capacity and head pressure combine to provide the maximum efficiency performance from the pump. If the pump is incorrectly sized and is operating too far from the BEP, wear and tear can occur which can shorten its operation life. An oversized pump will be inefficient and cost more to maintain because operation too far to the left of its performance curve puts extra strain on pump bearings and seals. A pump which is undersized may end up running too quickly, which may ruin the product being pumped and prematurely wear out parts of the pump. A pump should be sized to an application, but achieving this is not always straightforward. If every party involved in specifying a pump adds on even a small percentage to their sizing estimate, the end result can be a highly inefficient pump. A survey of 4,000 installations showed that water pumps typically operate with a shortfall in efficiency of 12.5% to 20% because they are incorrectly specified. To help with changes in duty and assist with energy-reduction, many pump manufacturers promote pumps with variable-speed drives. Retrofitting the latest controls or ancillary equipment can often help boost efficiency and enable pumps to meet changes in demand at a fraction of the cost of a new system. Simply upgrading a pumping system can result in energy savings of up to 50%. Maintenance and energy consumption are the two most significant costs throughout the life of a pump. 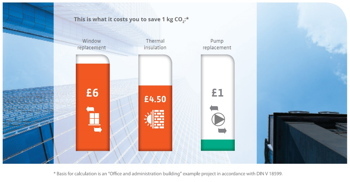 A well-designed pumping system minimises these costs. 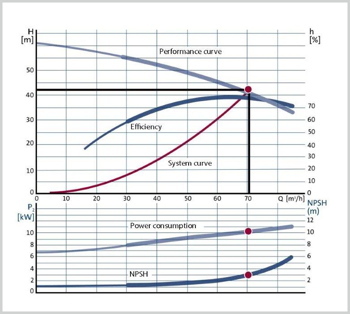 Every pump manufacturer can, or should, supply characteristic curves for its equipment. These demonstrate the relationships between discharge capacity, pump head, power and operating efficiency. The BPMA and its members have written Europump guides to help users select and operate pumping equipment. An oversized pump operates to the left of the performance curve. It will be inefficient and cost more to maintain. The BPMA has also created the CPSA Scheme (Certified Pump System Auditor), an industry-specific professional qualification. The objective of the scheme is to help improve professionalism in the sector by creating a universally-recognised and respected industry standard for individuals assessing the pumping system performance. Let’s finish with some top tips from the experts, highlighting some of the key questions and points that should be considered when specifying a pump to help ensure it delivers optimum performance and economy throughout its service life. The two most popular types of pump are centrifugal and positive displacement pumps. Centrifugal pumps are generally suited to fast-flowing or low-viscosity liquid applications where the pressure is relatively constant. They perform most efficiently and cost-effectively when operating at, or near, their BEP. Positive displacement pumps are ideal for high-viscosity applications, as they are better able to maintain a constant flow rate. It may also be necessary to consider the material the pump is made from. Hygienic processes in the pharmaceutical or food and beverage industries, for example, are subject to strict requirements in most countries. The efficiency and operation of centrifugal pumps can be affected by the net positive suction head (NPSH) available. This is the amount of pressure required to stop the liquid vaporising inside the pump. If the liquid vaporises, bubbles can be formed which will be carried into the pump. When these bubbles encounter zones of higher pressure in the pump, they collapse violently, resulting in a phenomenon known as cavitation which can severely damage the pump. When designing a pump system, it is essential to ensure the available pressure on the pump inlet is greater than the pressure required within the pump to avoid cavitation. 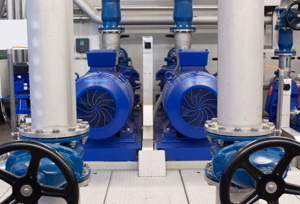 Pumps are big energy users; specify them with care for good lifetime operation and costs. 3. Is the pump correctly positioned? Where a pump is positioned within a pipeline can affect performance. As well as determining the pressure available, the positioning of a pump can also affect the quality of the product being pumped. Too much or too little distance in the pipeline before the pump can lead to friction losses which can affect the flow-rate of the substance being pumped, which in turn can affect the efficiency of the pump. Pipe fittings, such as elbow joints, filters or other in-line equipment can also affect the flow-rate of a substance to the pump. When selecting a pump, cheapest is by no means best. Be particularly careful where reductions in purchase price have been achieved by cuts in supplier back-up and expertise. Ultimately, the most cost-effective installation will be the one where the supplier can offer good technical back-up, an established track record and a reputation for reliable products, based on sound R&D­­­. It’s surprising how many customers don’t take advantage of expertise available from pump manufacturers. They are keen for you to attain optimum performance from their product and nobody knows more about a pump than the company that built it. In need of basic pump knowledge?